Sunday dinner: six hungry people; a post-skiing bank balance in need of a rest; and a request for roast lamb. Not a great combination. But, forget the traditional leg of lamb, that is jolly expensive and ends up as a shrunken lump of meat on the end of an enormous bone. 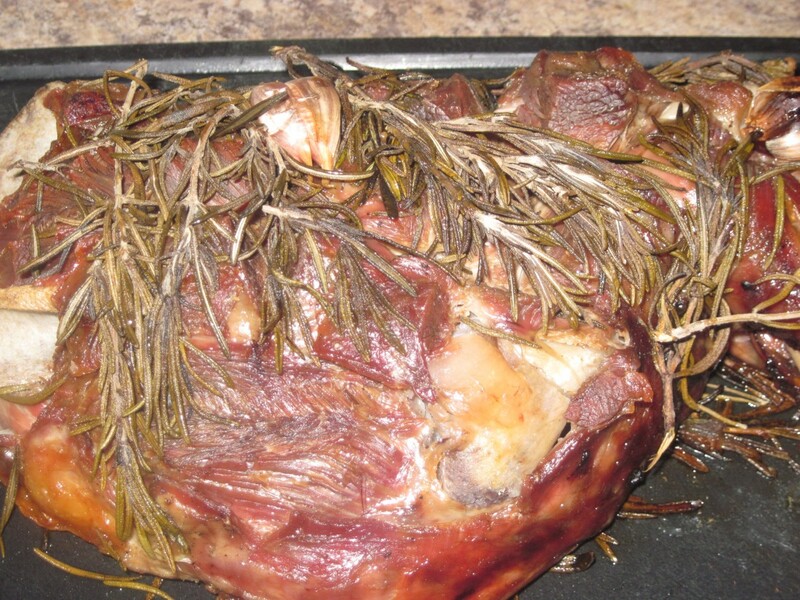 Look instead at shoulder of lamb. On first inspection it appears rather fatty and thin, but trust me, when it has spent four hours nestled inside a tent of tin foil, you are presented with succulent, moist joint of meat that melts in the mouth. 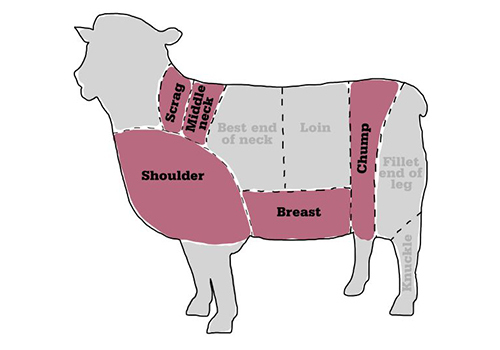 Essentially the shoulder is taken from the bottom part of the lamb, and is a hard-working part of the animal. This means that it is better suited to slow roasting, as this breaks down the fibres of the meat. 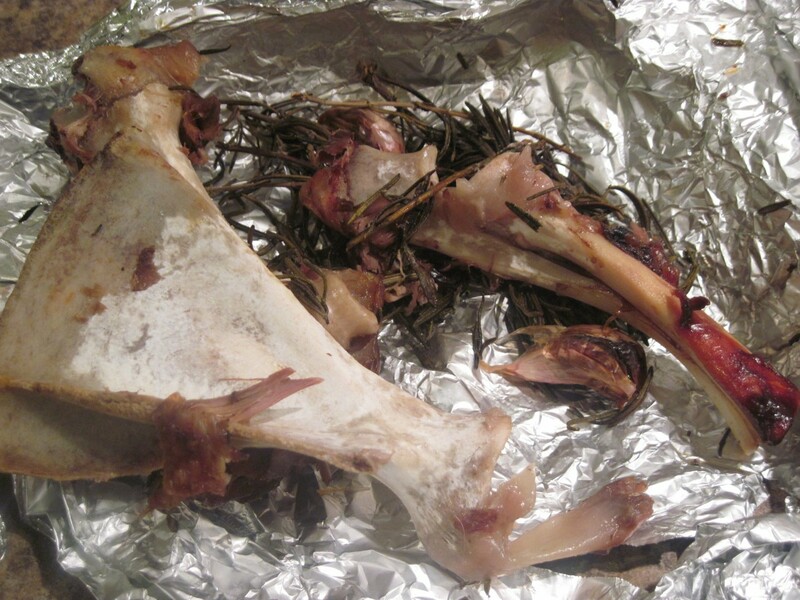 It is taken from the bottom part of the lamb and is sold whole or halved on the bone, or can be boned and rolled. The joint I bought was a whole shoulder, from Morrisons, which is currently £5.19 per kilo. Preheat the oven to maximum temperature. Lay half the rosemary and garlic bulbs in the bottom or a roasting tin. 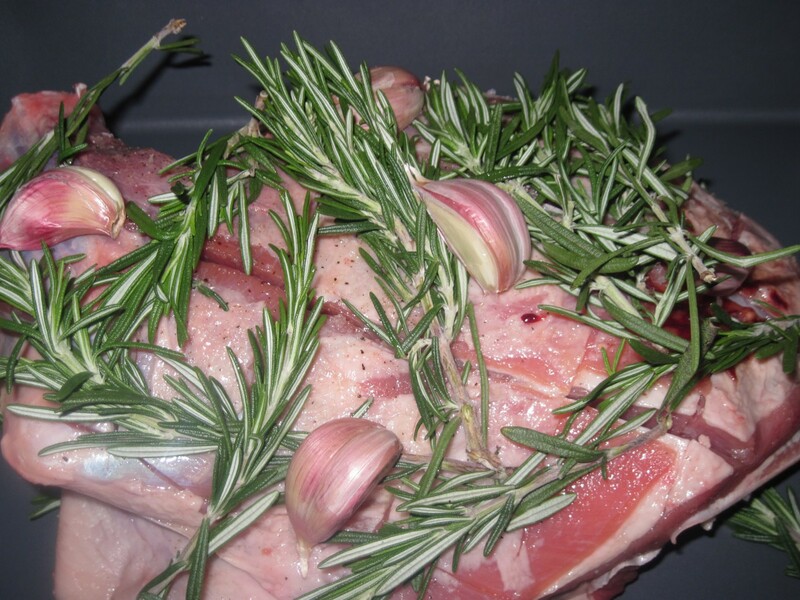 Slash the fat side of the lamb with a sharp knife, rub all over with olive oil and season liberally, lay on top of the bed of rosemary, and top with the remaining rosemary and garlic. Tightly cover with tin foil and place into the oven. Immediately turn the oven down to 170C, gas mark 3, and leave for four hours. With approximately forty minutes until you are ready to serve, set the vegetables on to boil, and cook until the swede is soft. Drain, and place a tea towel over the pan to absorb the steam. Add the butter and crush with a wooden spoon, until broken and roughly mixed. A smooth mash can be made if required, but this rustic style suits the meal. 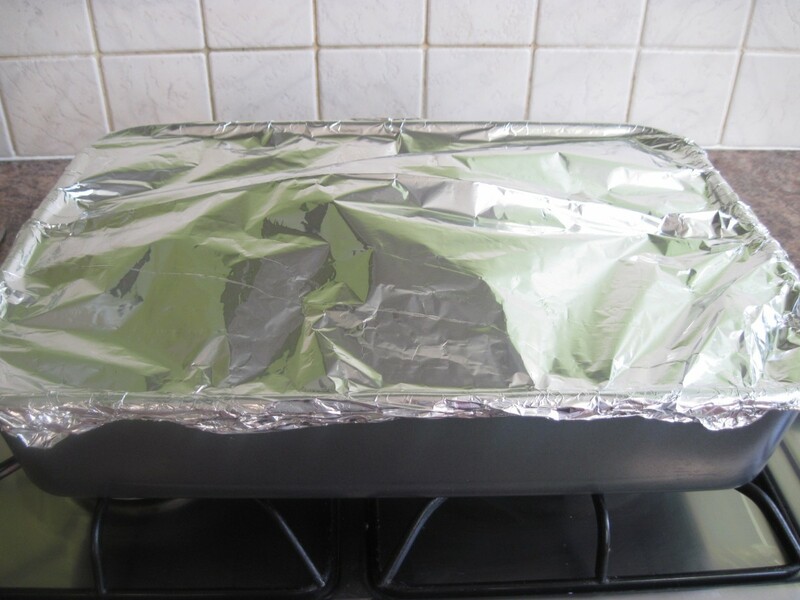 When the cooking time is up, remove the lamb from the tin, cover with foil and a tea towel and rest for up to an hour. Remove any bits of rosemary and garlic from the juices, and return to the hob, stirring in the flour. Cook for 1 minute. Gradually add the stock, scraping all the sticky bits up from the bottom of the tin. Add the capers and cook for a couple of minutes, before adding the mint and red wine vinegar. (I used a teaspoon of mint sauce this week instead of fresh mint, and it tasted lovely). Pour into a heated gravy jug. The lamb will be so incredibly tender that it can be shredded with two forks. Any fat that was originally visible will have completely disappeared. Out of four fussy children who can find fat on a fish finger, there was absolutely nothing left on their plates except the bones, a couple of garlic cloves and some shards of rosemary. Oooh my goodness that looks divine .